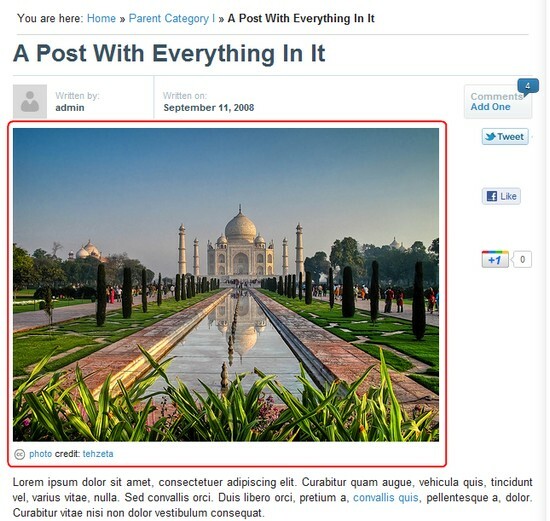 Images make a reader comprehend the post more easily, that is you find images in most online articles.If you are a blogger then you might have looked for images to embed in your post at various sites like Flickr etc. 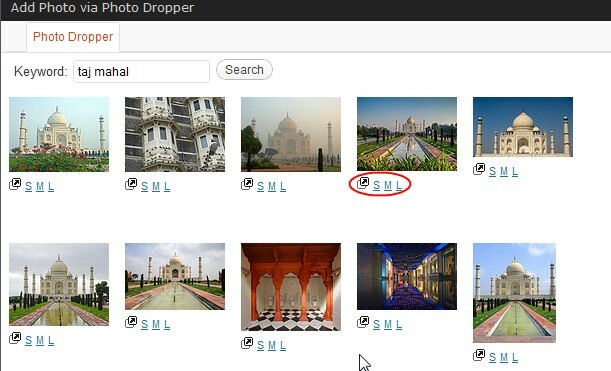 but here’s a another easier way to look for Creative Commons Licensed images on Flickr and embed them in your posts right from your WP Editor by using Photo Dropper WordPress Plugin.It searches Flickr for Creative Commons licensed photos – images that are licensed for sharing or used. Once the PhotoDropper Plugin is installed and activated, a new button is available at the top right of your “Upload/Insert” Section.Clicking on that will launch the search interface where you can type in the keywords. The search will return photos matching your keywords. Once you find a photo you would like to add to your post, click on any of the sizes (S-“Small”, M-“Medium”, L-“Large”) to add that photo and attribution link to your post. The photo will appear in your post, followed by a link to the specific CC license for that photo, as well as a link back to the PhotoDropper site, and a link to the photographer’s Flickr page. Just wanted to stop by and say thanks for sharing our plugin with your readers. if you have any comments, questions, or suggestions, drop me a line anytime!